If You or Someone You Love was Injured or Killed in a Massachusetts Electrocution Accident, You Need an Experienced Massachusetts Personal Injury Lawyer or Massachusetts Wrongful Death Lawyer to Represent You. Contact Our Boston, MA Electrocution Accident Lawyer Experts Today at 617-787-3700 or Email Our Massachusetts Electric Shock Personal Injury Attorney Specialists at info@gilhoylaw.com and Put Our Knowledge and Expertise to Work for You. 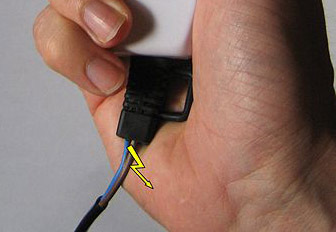 Hundreds of people are injured and killed in electrical accidents in the United States every year. The causes of electrocution are numerous, and commonly include faulty electrical appliances, defecting wiring in buildings and other structures, and workplace accidents. Regardless of the cause, Massachusetts electrical accidents often result in serious bodily injuries. High medical costs and expenses after an electrical shock can destabilize a victim’s finances and compound already devastating physical injuries. Massachusetts electrical shocks often result in life-threatening injuries, including burns, nerve depolarization, muscle depolarization, alternating current (AC) injuries and direct current (DC) injuries. Electrocution from a high voltage Massachusetts electrical source can cause permanent cardiac and neurological damage, or even Massachusetts wrongful death. After sustaining injuries in a Massachusetts electrical accident, injured Massachusetts victims may experience significant emotional distress that causes them to relive the accident or fear returning to work. 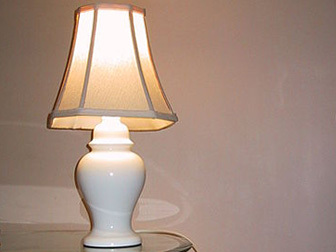 Massachusetts electrical shock injuries require immediate medical attention. If a victim stops breathing or experiences an irregular heartbeat as a result of a Massachusetts electrical injury, CPR or defribulation may be necessary to help resuscitate the injured person. 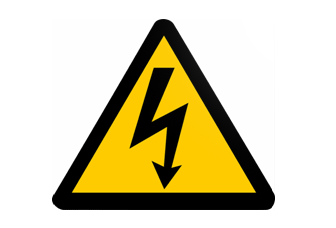 High voltage currents may lead to permanent physical and psychological damage. The rehabilitation period for Massachusetts electrocution victims is extensive, and frequently involves taking time off from work. Treatment may also involve therapy to help the Massachusetts victim cope with the emotional trauma of the electrocution accident. The costs of emergency room treatment, medications, medical devices and long-term care can pile up and create a substantial financial burden. If the injured Massachusetts resident cannot return to work, the electrical injury and its associated costs can cause financial ruin to Massachusetts victims and their families. More than 20% of deaths resulting from Massachusetts electrocution accidents occurred in accidents at Massachusetts industrial sites and Massachusetts construction work sites. 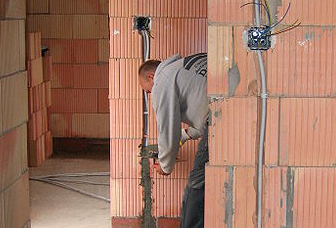 Massachusetts construction workers often work in close proximity to hazardous circuit breakers, live wires, control panels, power lines, and other electrical devices, equipment and wiring. Massachusetts employers are legally obligated to take all necessary safety precautions to prevent Massachusetts electrical injuries and electrocution. A Massachusetts employer must adhere to federal and Massachusetts safety standards, including properly maintaining electrical machinery and wiring. Massachusetts employers are also required to adequately train Massachusetts employees in the appropriate use of electrical products. Failure to do any of these things can leave Massachusetts employers liable for any electrocution injuries sustained by their employees while working. Massachusetts utility companies, as well as Massachusetts product designers, Massachusetts manufacturers and Massachusetts distributors, can also be held liable for damages caused by accidental Massachusetts electrocution injuries. Massachusetts utility companies are responsible for keeping telephone wires and other electric power lines in good repair. Massachusetts electrical lines should be properly covered, grounded and free of fraying or loose wires. Massachusetts residents may come into contact with electrified power lines if a storm or Massachusetts car accident causes a telephone pole to fall. 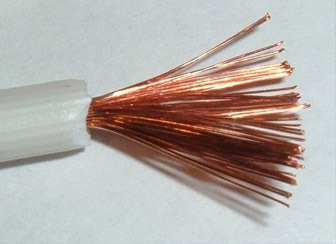 Loose live wires may also cause injuries to Massachusetts residents using ladders, trimming trees or installing antennae. 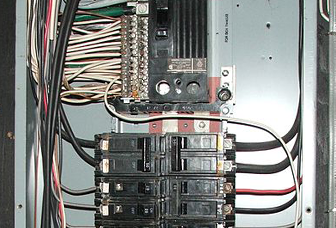 Massachusetts electrocution injuries can also occur due to defective machinery. Household appliances or power tools with defective cords and high voltages can cause severe bodily harm to Massachusetts residents. 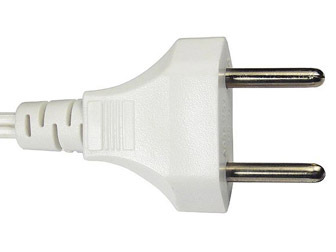 Products commonly found in Massachusetts homes that carry a risk of electric shock include hair dryers, microwaves and extension cords. Swimming pools and hot tubs with electrical wiring in poor condition can also cause electrocution due to close contact with water. Massachusetts companies in any step of the production chain may be found liable for a faulty product that causes electrocution. The U.S. Consumer Product Safety Commission (CPSC) mandates Massachusetts manufacturers’ adherence to stringent safety standards. Massachusetts manufacturers are legally responsible for including sufficient warning labels and instructions on how to properly use a product to avoid electrical injuries to Massachusetts consumers. 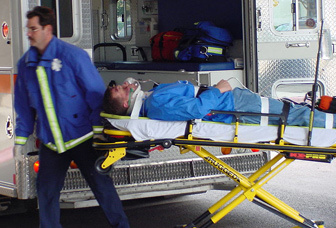 Our Boston, MA Electrocution Accident Lawyer Experts Are Available 24/7. Please Call Our Massachusetts Electric Shock Personal Injury Attorney Specialists Now at 617-787-3700. If you or someone you love has suffered from a Massachusetts electrical injury due to a defective product, you may have a meritorious Massachusetts product liability claim. While Massachusetts workers who are electrocuted on the job generally cannot file a claim against their employer, if the electrical injuries were caused by a poorly designed or constructed product, the Massachusetts worker may be able to sue and obtain compensation from a third party. Many of the expert Massachusetts electrocution accident attorneys that are available to our Massachusetts clients at our Boston, MA law firm through referral agreements are nationally recognized. In fact, a number of our Boston attorneys have been named in the Boston Globe as Boston’s Best Lawyers. Boston Magazine has recognized many of our lawyers as New England Super Lawyers and Massachusetts Super Lawyers, and our Massachusetts personal injury attorneys have also been named in The Best Lawyers in America. Our expert Boston, MA personal injury law firm provides our Massachusetts electrocution accident clients and other personal injury clients with outstanding legal representation. This is evidenced by the fact that we have been advocating on our clients' behalf and have successfully handled complex Massachusetts personal injury claims for over 25 years. The electrocution accident attorneys at our Boston, Massachusetts law firm are committed to providing excellent client service. As part of this commitment, we copy our clients on all correspondence, promptly return all client phone calls, and never act on a client’s behalf without the client’s fully informed consent. Our expert Massachusetts electrocution accident attorneys feel that is their duty to fight tirelessly on a client’s behalf while the client focuses entirely on recovering from all of the physical and emotional injuries that he or she sustained in the Massachusetts electrocution accident. Common Massachusetts electrocution accident injuries include burns, irregular heartbeat, internal injuries, muscle spasms, nerve damage, cardiac arrest, and in the worst circumstances, Massachusetts wrongful death. The extent of a Massachusetts electric shock victim’s injuries depends mainly on the electrical current’s voltage, duration, pathway and frequency. Our Massachusetts electric shock injury attorneys have helped our Massachusetts electrocution accident clients obtain substantial money damages for their pain and suffering, medical expenses, emotional distress, diminished quality of life, lost wages, scarring and disfigurement and lost earning capacity for more than the past two decades. We are not content with the outcome of a case unless our electrocution accident client feels that they have received the fair and just compensation to which they are entitled. In general, there is a three year statute of limitations in Massachusetts for all Massachusetts electrocution accident claims. It is thus critical that an expert Boston, MA personal injury attorney is obtained immediately to ensure that no evidence is lost and the medical professionals that our Boston, MA law firm consults with are able to accurately assess you or your loved one’s electrical accident injuries. If you or a loved one has been injured or killed because of a Massachusetts electrocution accident, please call our experienced, expert Boston, MA electrocution accident lawyers or expert Boston wrongful death lawyers at our nationally known and respected Boston personal injury law office at 617-787-3700 or email us at info@gilhoylaw.com. Your needs are our top priority! The knowledgeable and highly skilled Massachusetts personal injury lawyers and Massachusetts wrongful death injury lawyers at the Boston, MA Law Offices of Gilbert R. Hoy, Jr. and Affiliates can help you recover all sources of monetary compensation for your Massachusetts electrocution injuries. Our expert Boston injury attorneys at out nationally known and respected Boston, MA personal injury law office have a reputation of success in obtaining substantial money damages for our Massachusetts electrical shock injury clients to pay for their medical bills, lost wages and pain and suffering. If the Massachusetts electrical accident causes permanent damage or disability that prevents an injured Massachusetts resident from returning to work, our expert Boston personal injury lawyers will fight for full and fair compensation for lost future earnings and benefits, that will help maintain financial stability, now and in the future. For Massachusetts families who have lost a loved one in a Massachusetts electrical accident, our Massachusetts wrongful death lawyers will advocate for full and just compensation for your loss of consortium and companionship with the deceased. Our Boston, Massachusetts wrongful death lawyers have seen first hand the pain that our Massachusetts clients suffer after the wrongful death of a family member. Our compassionate Boston, MA wrongful death personal injury lawyers will aggressively pursue your claim and make sure that the negligent parties responsible for your loved one’s death are held accountable. Please do not hesitate to call one of our highly skilled Massachusetts personal injury attorneys or Massachusetts wrongful death attorneys today at our expert Massachusetts personal injury law firm at 617-787-3700. You can also email us at info@gilhoylaw.com. We will quickly respond to your phone calls and emails, and set up a time to meet with you at your location of choice for a free and confidential case review. Your recovery and well-being is important to us. Let our expert Boston personal injury lawyers and expert Boston wrongful death lawyers assist you as you begin moving forward after your Massachusetts electrical shock accident. It would be our honor and pleasure to represent you. Your needs are our top priority! Our Massachusetts electrical accident personal injury lawyers are proud to represent Massachusetts personal injury clients from throughout the Commonwealth. In the event that you or a loved one has been injured or killed as the result of an electrocution accident or a Massachusetts electric shock personal injury, the best thing that you can do right now is to hire one of our highly skilled Boston, Massachusetts electrocution accident lawyers or Boston, MA wrongful death lawyer professionals. If you select one of the knowledgeable and expert Massachusetts electrocution accident attorneys at the Boston Law Offices of Gilbert R. Hoy, Jr. and Affiliates to represent you or your loved one, you can be assured that your needs will become our top priority. The Massachusetts electrocution accident lawyers at our Boston, MA law firm will use their legal expertise and extensive legal talents to most effectively handle your unique situation. Our Boston, MA electrocution accident law firm is distinguishable from most other Massachusetts law firms because our expert Massachusetts attorney specialists are truly compassionate and caring, and our Boston lawyers will fight tirelessly on your behalf. 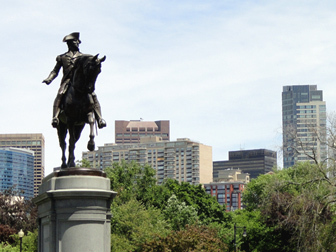 Our Boston, MA electrocution accident law office has some of the highest quality and respected Massachusetts lawyers in the Commonwealth. The Boston, MA electrocution accident lawyer experts and Boston, MA wrongful death lawyer advocates at our Massachusetts law firm have represented numerous Massachusetts electrocution accident victims and the families of Massachusetts wrongful death victims. If you or a loved one has suffered personal injuries as the result of a Massachusetts electrocution accident, please contact our experienced Boston electrocution accident lawyers, Massachusetts electric shock personal injury attorney advocates or Massachusetts wrongful death lawyers as soon as possible at 617-787-3700 to help you get full and fair compensation for your Massachusetts accident injuries. 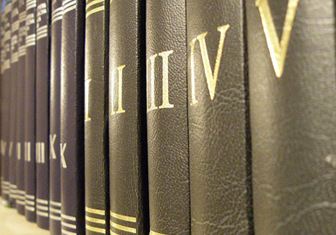 The Boston Law Offices of Gilbert R. Hoy, Jr. and Affiliates is a team of Boston attorneys, including expert Massachusetts electrocution injuries attorneys, from some of the best law offices in Massachusetts who have been personally selected by Attorney Hoy because of their skill, experience and expertise. Many of the Boston, MA lawyers who are available to our clients through referral agreements have been repeatedly selected and recognized as among the very best Massachusetts personal injury accident lawyers. With an experienced group of some of the very best Massachusetts electrocution accident lawyers that the Commonwealth offers, our Boston electrocution accident law office is confident that our handling of your electrocution accident claim will go beyond your expectations. Our over-riding goal is to provide you or your loved one with top of the line legal service and assistance with respect to your Massachusetts electrocution accident, while earning your confidence, loyalty, trust and respect. Our Boston, MA electrocution accident law office would be honored and pleased to represent you or your loved one, and we would be delighted to provide you with an initial free and confidential consultation with respect to your Massachusetts electrocution accident claim. 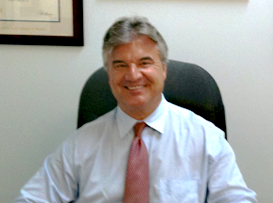 Please Call Our Boston, MA Electrocution Accident Lawyer Specialists Today at 617-787-3700. 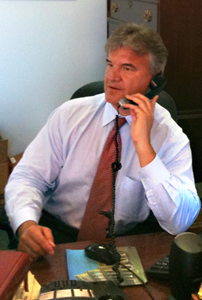 Our Massachusetts Electric Shock Personal Injury Attorney Experts Are Here For Your Call and Are Available 24/7.